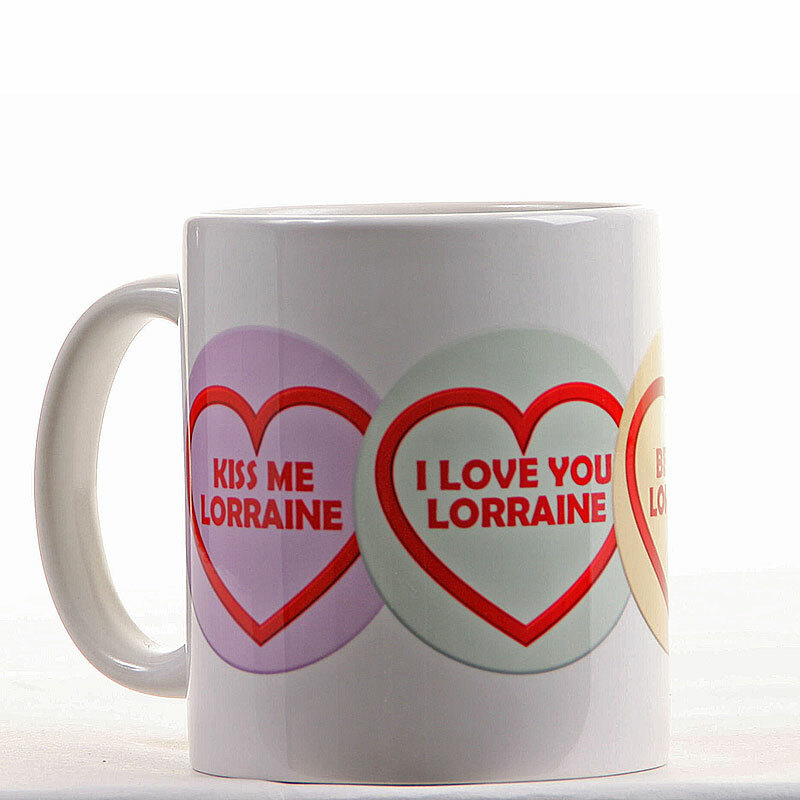 Our new personalised mugs make fantastic gifts for Valentine's Day and many romantic occasions. Your recipient will have fond memories every time they enjoy a cuppa! 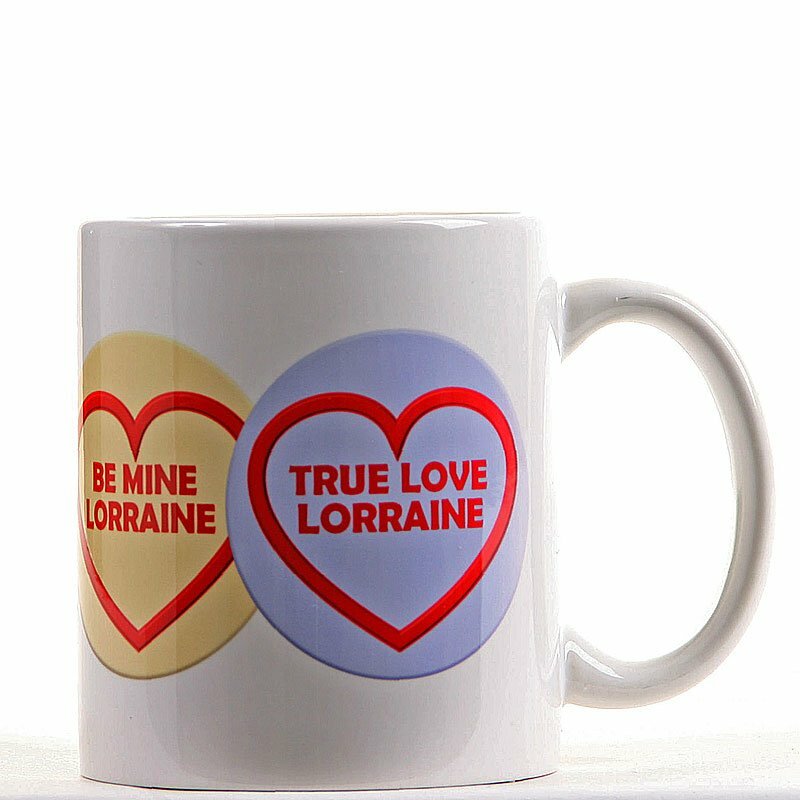 Your recipient's name is printed within each heart on to each high quality 11oz mug with vibrant results. 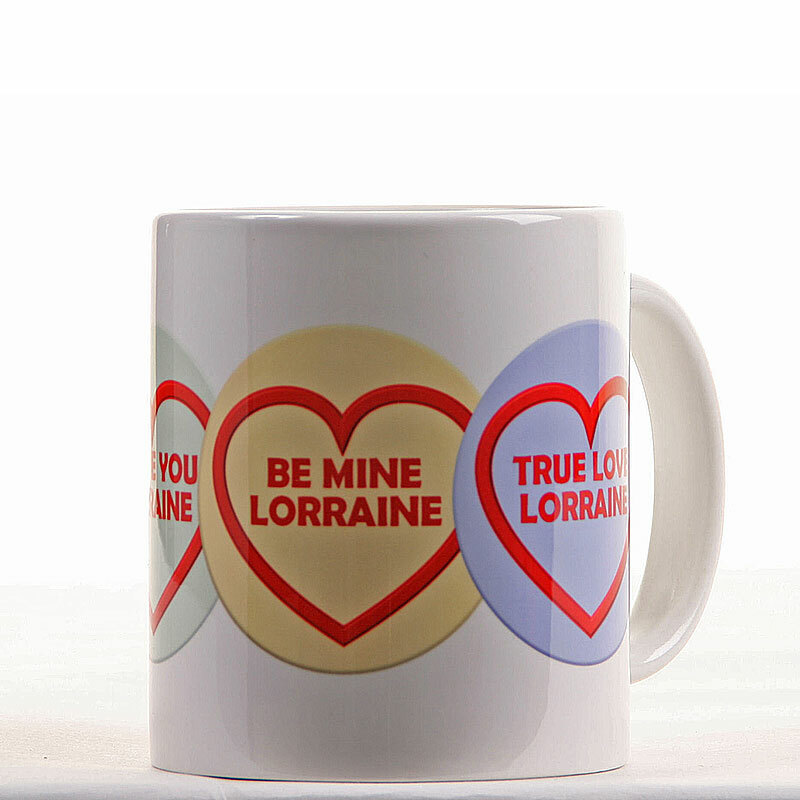 Size: 9.5 cm high x 8 cm diameter (11oz), each mug is also dishwasher and microwave safe.